A – Hydrangea or Spirea B – Dense Yew or Hydrangea C – Euonymus or Cotoneaster D – Japanese Maple or Serviceberry Clump E – Hosta or Astilbe F – Goldmound Spirea or Hydrangea G – Euonymus or Cotoneaster H – Medium Grass or Stella D’Oro Daylily I – Hosta or Periwinkle J – Clematis or Climbing hydrangea K – Medium Grass or Stella D’Oro Daylily L – Euonymus or Cotoneaster M – Astilbe or Hosta N – Astilbe3 or Hosta O – Small Grass or Stella D’Oro Daylily P – Lilac Standard or Pee Gee Hydrangea Standard Use seasonal flowers throughout for added colour. Georgina Garden Centre has been designing and installing residential landscaping projects in Georgina and surrounding York Region areas since 1984. 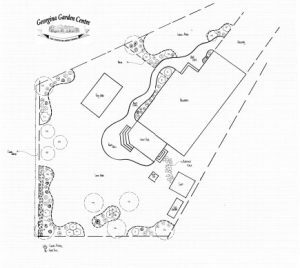 Georgina Garden Centre offers a full range of landscaping services, including consulting, design, installation & maintenance. We have highly qualified team of trained landscape professionals and horticulturalists that can assist you in creating a unique, relaxing and enjoyable addition to your home. Our landscaping projects range from renovations of existing landscapes to entirely new installations. Using only the highest quality materials and the utmost attention to detail, Georgina Garden Centre works within your budget to create an outdoor living area that you will enjoy for years to come. Whether you prefer to do-it-yourself or have your landscape designed and installed for you, Georgina Garden Centre can provide quality products and expert advice that will turn your landscape dreams into reality! Visit, call (905 476-8722), or email Georgina Garden Centre to find out what will best suit your needs. We will book an appointment, then a site visit and consultation will be arranged. A designer will come to your home and discuss your personal, family and lifestyle needs. An easy to follow scaled hand-drawn design is then created with a plant list using the ideas discussed. 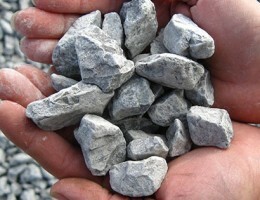 You can then arrange to have a free installation quote prepared if you would like to have Georgina Garden Centre professionals install the hardscape and/or softscape, or, you can do-it-yourself!